[Paris, France] Bonjour. 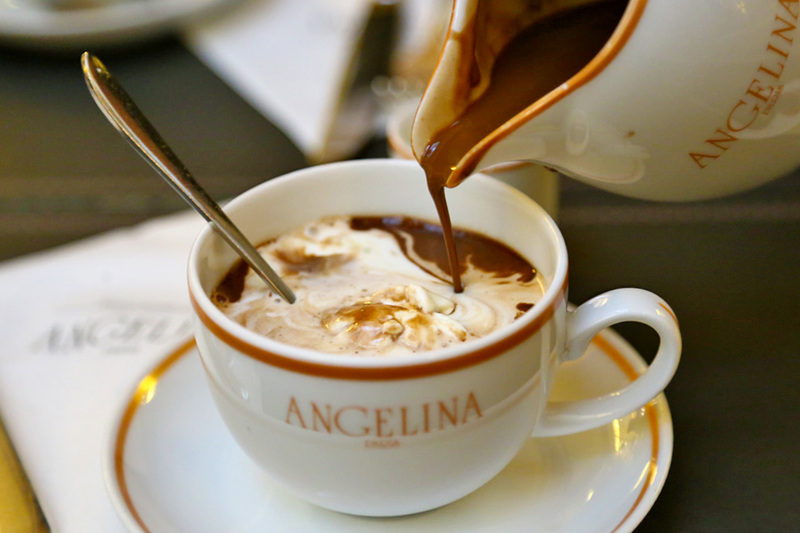 People go to Parisian tearoom Angelina for two reasons – the Mont Blanc and richly thick Chocolat l’africain Hot Chocolate. But there is more to it. I liked them enough to try at Hong Kong, Singapore, and most recently at home-ground Paris. 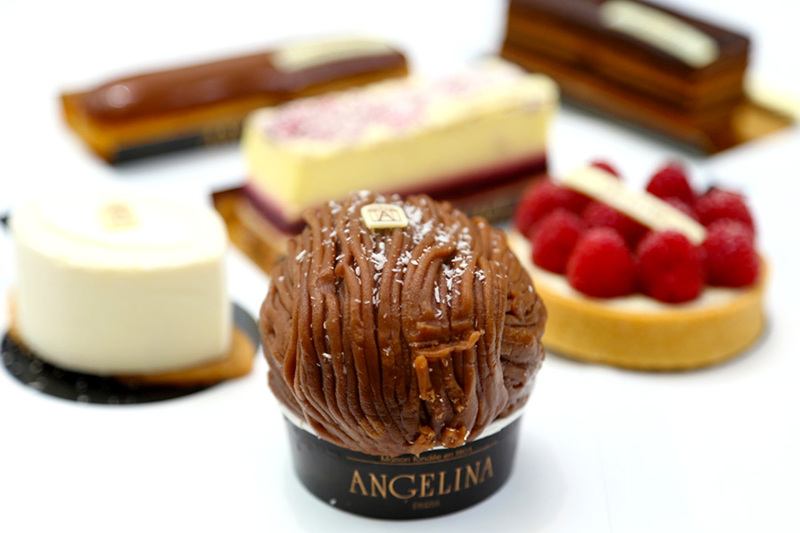 Confectioner Antoine Rumpelmayer founded Angelina in 1903, which he named after his daughter-in-law. It was then known to be the place to be among the Parisian aristocracy. The outlet Rue de Rivoli seemed to be half-filled with Parisian tai-tai (the society women) who are indeed dressed for the part; and the other half tourists who are probably seeing this as a pitstop before viewing Madame Mona Lisa. Oui, Musée du Louvre is a short 10 minute walk away (book your tickets online before going, please). 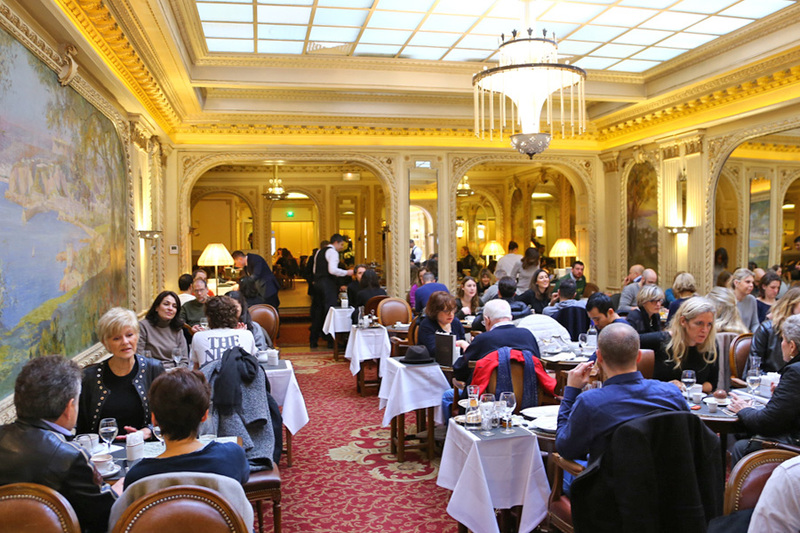 The interior design of the tearoom was done up by French architect Édouard-Jean Niermans in the Belle Époque style, elegantly gorgeous. 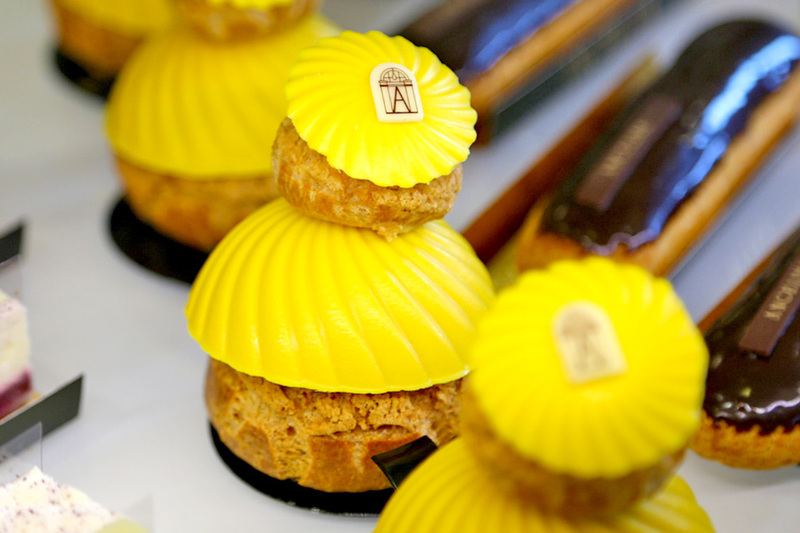 On one side was the dessert display counter… sweet, sweet paradise with some attractively jaw-dropping patisserie. 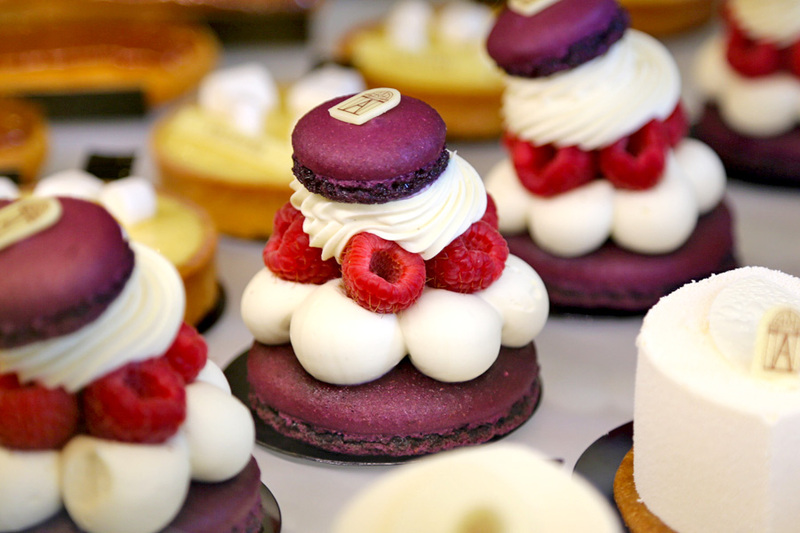 Some of the seasonal specials: The Joconde (€6.90, SGD$10.60) with a sandwiched by royal purple macaroon biscuits with blackcurrant and blackberries and cherry blossom tea cream; looking like a dame with a hat, the Religieuse Citron-Praliné (€6.60, SGD$10.10) of chou pastry covered in a praline heart of lemon cream; and a deep red Babylone (€6.60, SGD$10.10) with a strawberry marshmallow centre in the midst of light vanilla mousse. Their classic Mont-Blanc has also gone through a few variants. I had the Mont-Blanc Coco-Passion (€7, SGD$10.70), coming with an added passion fruit heart and coconut whipped cream. I noted that this particular piece had its chestnut cream vermicelli neatly ‘combed’, quite unless previous ones which had strands running incongruously. 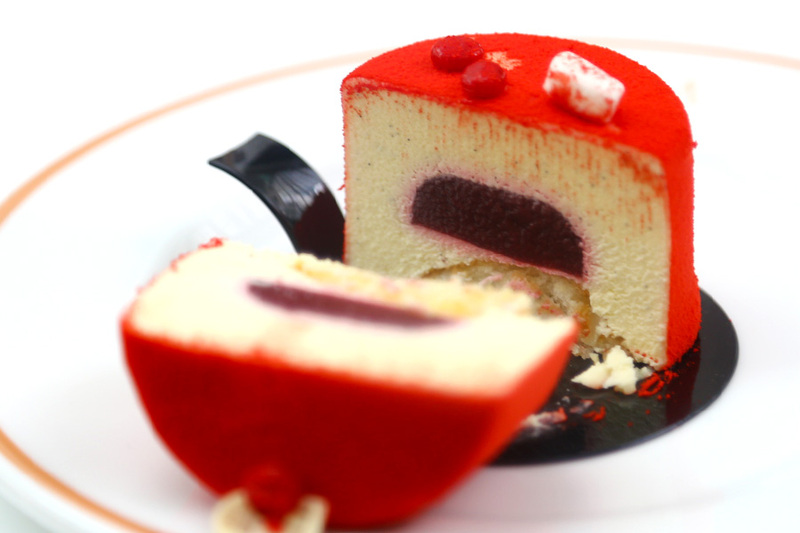 The fruity-tangy middle added a refreshing touch, and also helped balanced out some of the sweetness. The famous decadent “African” Hot Chocolate is composed of three kinds of African cocoa from Niger, Ghana and Côte d’Ivoire, probably can give some a chocolate-overdrive. This beverage is so smoothly thick, you can almost enjoy it like a dessert. Some may find it hard to drink it from start till end (alone) without feeling an over-richness finish. Somehow it could be the weather. Of all the times I tried the hot chocolate, this was the best experience. 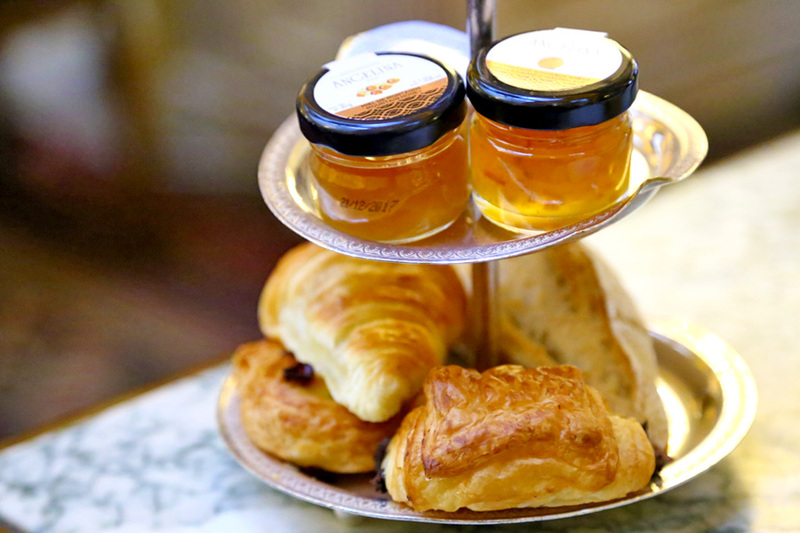 Angelina also offers Breakfast items, Sandwiches, Salads and Main Courses. 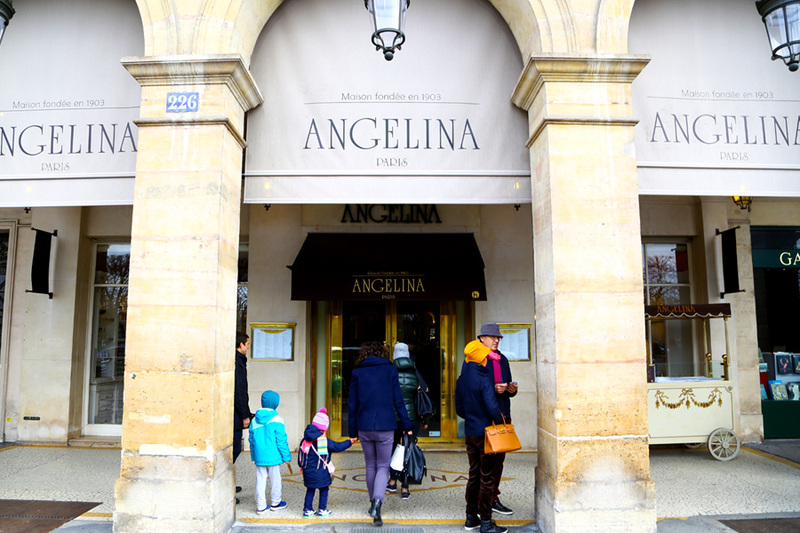 The Angelina Breakfast with a selection of (€29.50, SGD$45.20) beverage, fresh fruit juices, mini viennoiseries, bread roll, fresh fruit salad and eggs was considered pricey, though not that impressive-tasting. They were… okay. 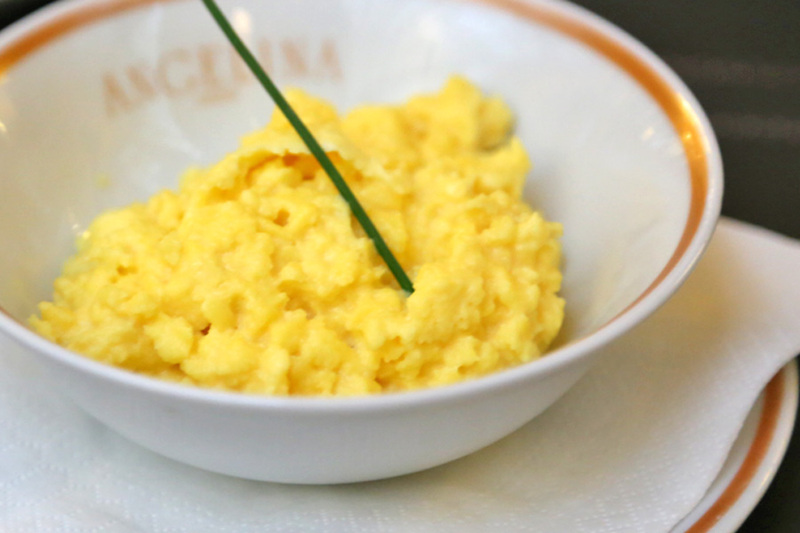 Scrambled eggs were in fact disappointingly dry and subpar. Will I recommend a visit? Why not? 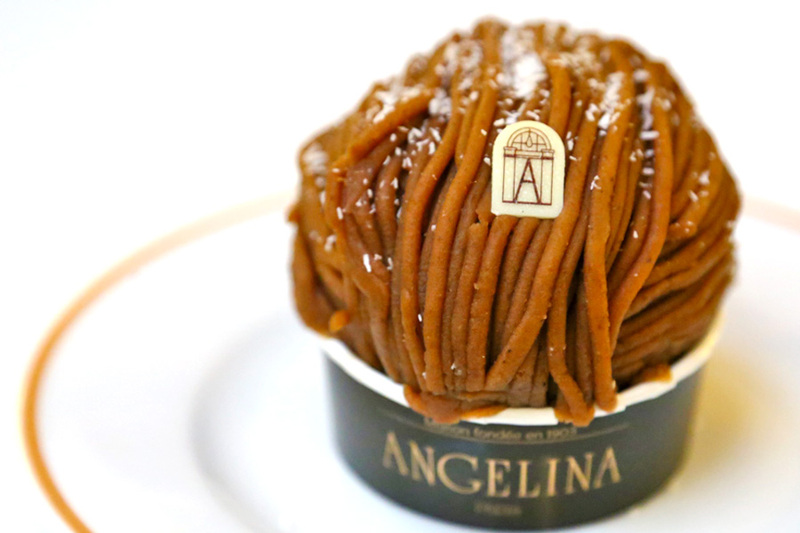 Expensive food aside, the hot chocolate and to a lesser extent the Mont Blanc are good reasons to come. Plus, the entire ambience encapsulates the spirit of a certain segment of Paris.